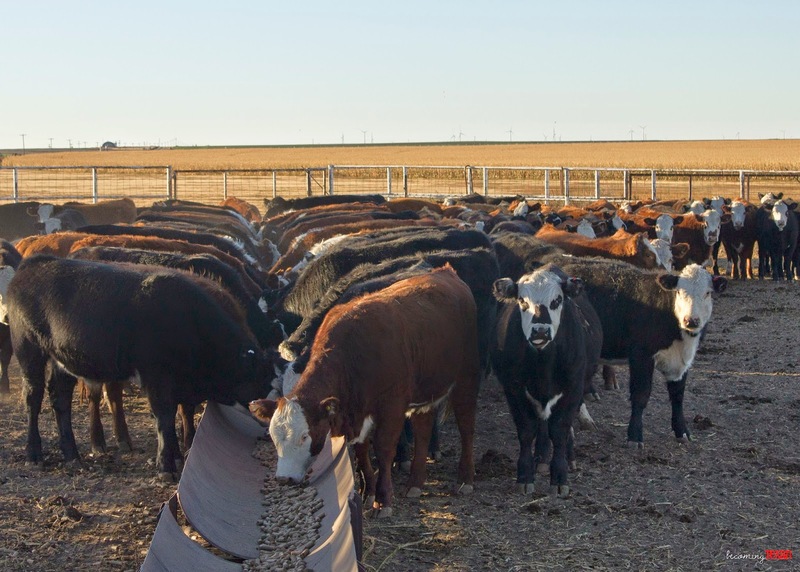 Over the last few years, I have noticed an ever-growing myth about "corporate farms." It is everywhere, and it seems like every anti-farming, anti-GMO, anti-agriculture advocate throws around the words "corporate farms" and "big ag" in every sentence. I'm here to tell you that you shouldn't believe the hype. I've been on farms all over the U.S. from Washington state, the Dakotas, Pennsylvania, Michigan and all the way to Texas, plus a few in between all of those places. I've been on large farms and small farms. Organic farms and conventional farms. Vegetable farms. 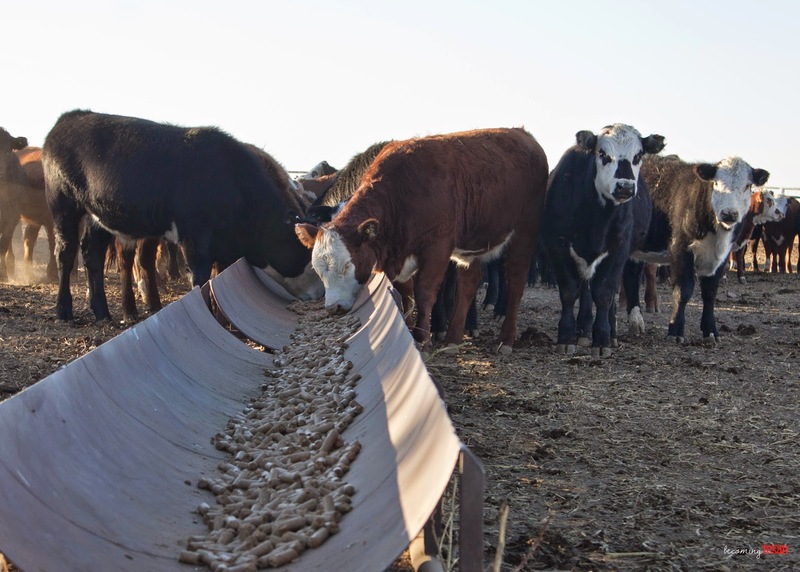 Beef farms. Wheat farms. Corn farms. Dairy farms. Pig farms. Poultry farms. And here's the thing: I don't know that I've ever been on a "corporate" farm. Behind every farm has been a family that owns, operates and, most of the time, performs the day-to-day activities that make a farm productive. Sure, some might have employees to help them, but that doesn't mean they are "corporate." Heck, on our fifth-generation family farm here in the Texas Panhandle, we have a full-time employee. Does that make us any less of a family farm? I don't think so, but here's why. This morning, I gave up sleeping in (a rare feat for me on a weekend) to go photograph feeding the calves. Over the last two weeks, we have weaned and doctored around 100 calves. Those calves are now up in a pen so we can monitor them and feed them appropriately. Every morning, Granddad, Royce and Royce's father check the calves, feed them their "cake," and put out fresh hay for them. (If you are curious about cake, I'll have a post later this week explaining it.) It really is a family affair, and that's how most everything happens on our farm. I know we aren't alone in this either. In the U.S., around 97 percent of all farms are family farms! That's a huge percentage when you are talking about 2.2 million farms! 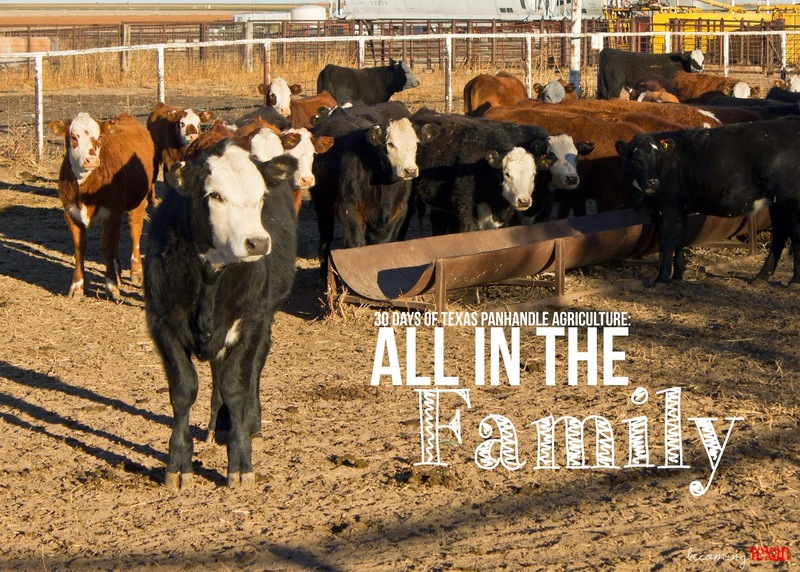 Whether a farm is tens of thousands of acres or a farm is 100 acres, most likely there is a hard-working family behind it. Let's agree to put this "corporate farm" myth behind us for good. In case you need some more evidence, here are a few of the photos I captured this morning while the men were feeding. Granddad drives the feed truck and counts out enough servings of cake for the calves. Lexi, the Border Collie, rides shotgun. The cake drops from the chute on the side of the pickup. The calves like cake, but they aren't sure about this lady taking pictures of them. Red decides the cake is much more interesting than the camera lady. The first group of calves were weaned two weeks ago. They've learned to eat very well. The group weaned last week are still missing their mommas a bit and haven't quite figured out the cake thing yet. 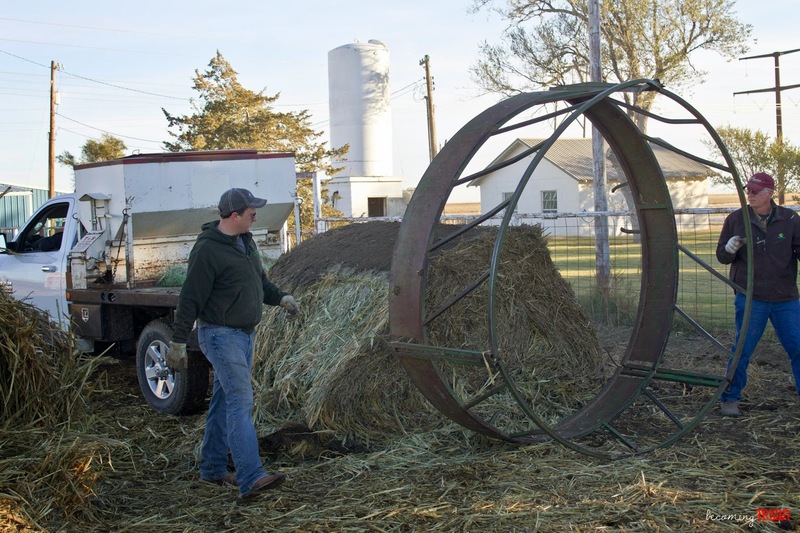 Royce and his dad, Terry, drop the hay ring over the bale as Granddad lowers in from the forks. 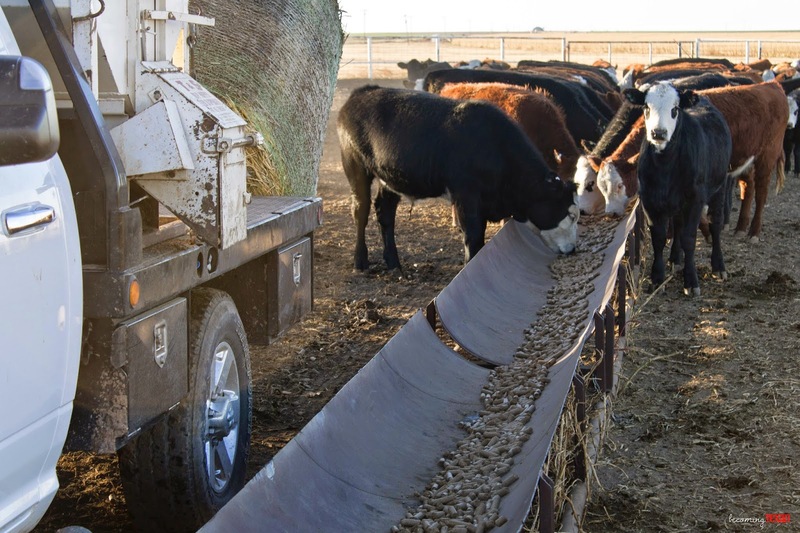 Three generations of O'Neal farmers take part in feeding these calves daily. 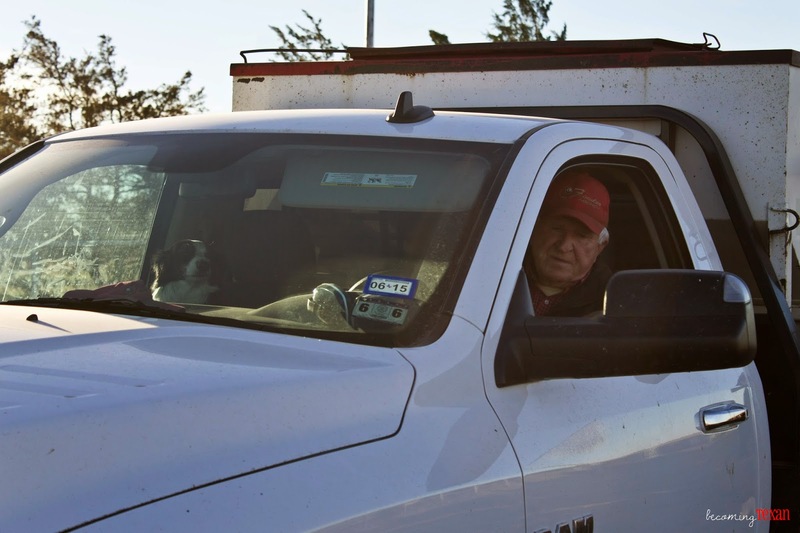 This is the ninth day of my 30 Days of Texas Panhandle Agriculture Series. To read more, please visit this introduction post. If you have questions or ideas about Texas Panhandle agriculture, I'd love to hear them!